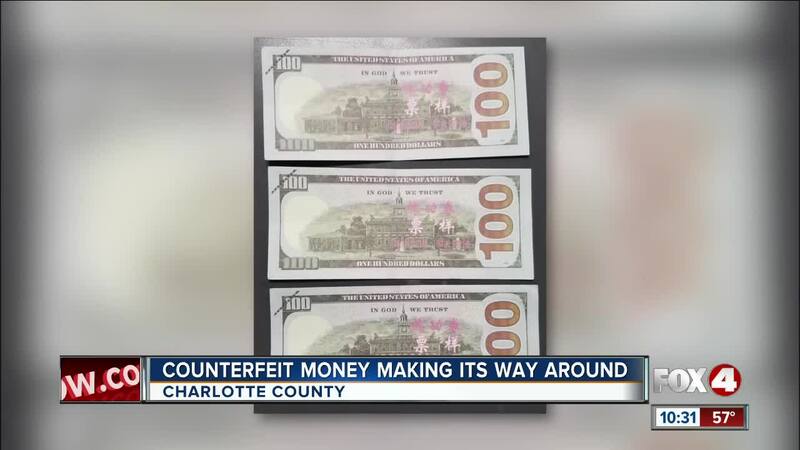 According to the Charlotte County Sheriff’s Office, Federal Reserve note replicas imprinted with Chinese characters, or "training money", are going around the county. PORT CHARLOTTE, Fla. -- There's some funny money making its way around Charlotte County. On Monday morning, more than $20,000 worth of these fake $100 bills were found during a traffic stop. Deputies say the passengers were coming from a gentlemen's club in Port Charlotte. Anyone who’s received these fake bills is urged to call the sheriff's office.